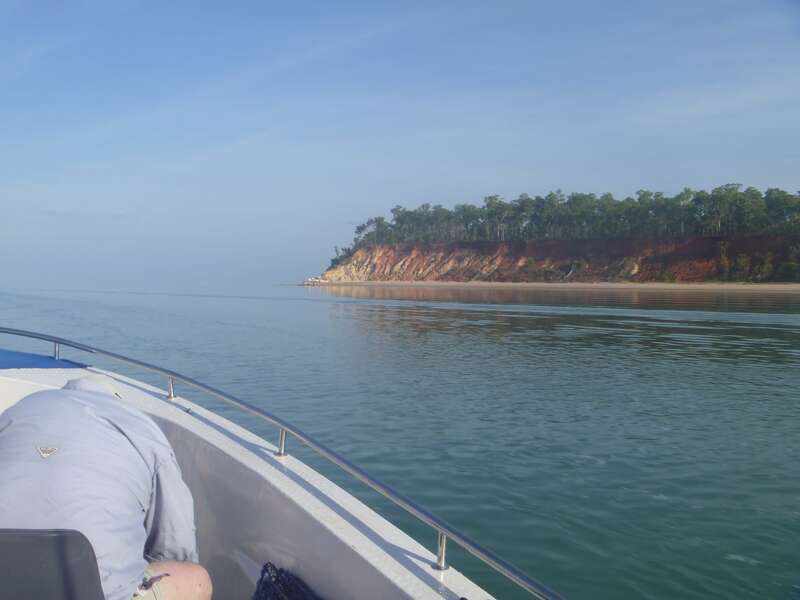 Our lodge has an exclusive licence from the Tiwi people to allow our guests and ourselves to fish in these waterways. Hence, when you are a guest of our lodge, you are gaining exclusive access to some of the most stunning waterways in the Southern Hemisphere! When fishing experts, like Rex Hunt, Mark Berg and Andrew Ettinghausen endorse the lodge, you know it must be world class! With fishing legends Rex Hunt, Mark Berg and Andrew Ettinghausen (ET), Micah Adams filming their TV programs from Clearwater Island Lodge, you know we must be doing a few things right! In recent times, these Aussie fishing icons have been guests of Clearwater Island Lodge, together with their camera crews and producers. Aside from the superb fishing around the lodge, both TV hosts loved the exquisite food and the down-to-earth, friendly hospitality. Indeed, Rex loved the experience so much, he returned to the lodge as a paying guest! Other renowned fishermen who have enjoyed the lodge and its surrounding estuaries and rivers, are Steve Starling, Micah Adams, Kaj Bush, Rick Huckstep and Curtis Stone & (Bender) Ben O’Donogohue from Surfing the Menu. The fact that our lodge attracts so many esteemed fishing journalists, Famous celebrities include JC Collins from Powderfinger, Maurice Rioli, Dean Rioli, Michael Long, Dean Lukin, Cyril Jnr Rioli, Daniel Rioli, Willy Rioli, Basil Campbell, CEO’s of the Honeywell Corporation to name only a few and TV hosts, is testimony to the fact that our location offers an absolutely unique fishing and adventure experience.